Hi Everyone welcome to 2014! Over the christmas period I have done very little just for fun scrapping its all been DT work or designing my new website which I will share with you all soon, (very exciting) but I thought I'd have a play with some of my Anna Aspnes stash. I have been hoarding her delicious products for goodness knows how long and then realised that I hadnt done a current page using the Sahlin Studio Monthly Kit feature for January 'A Wonderful Day' which is one of my all time faves of Krista's. So figured why not pair the two together in a project. 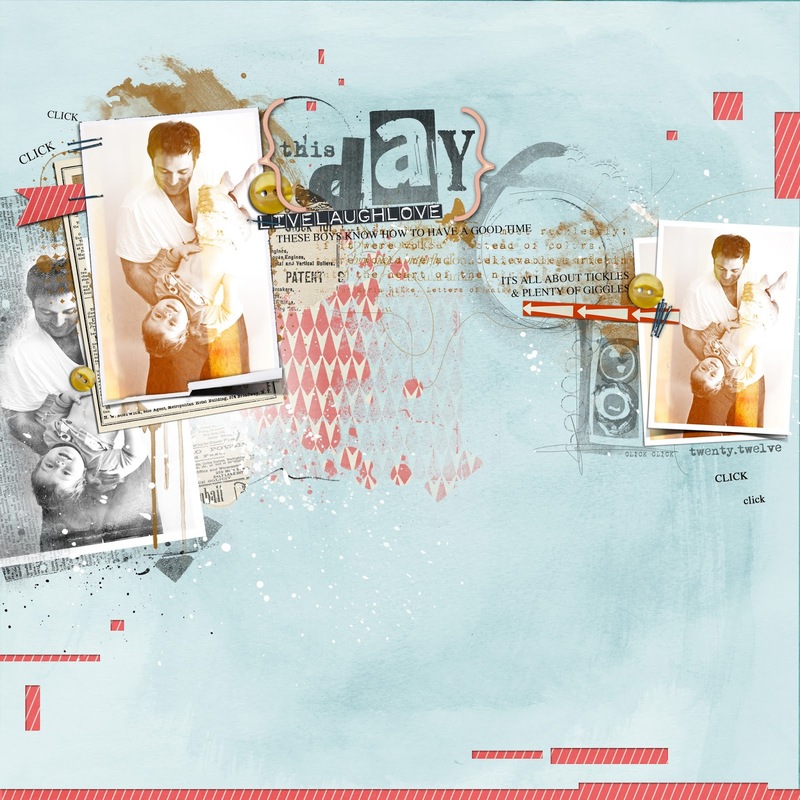 Here it is... my just because I wanna scrap page using lots of Anna Aspnes goodies and of course the feature kit and well...have to say am loving this one! Here is a video showing you how I created the sun bleached vintage inspired photo's. click on the image below to take you to the Sahlin Studio store at the Lilypad and at a reduced price for the month of January I'd say thats not a bad deal hey! well...have to say am loving this one too, Em! 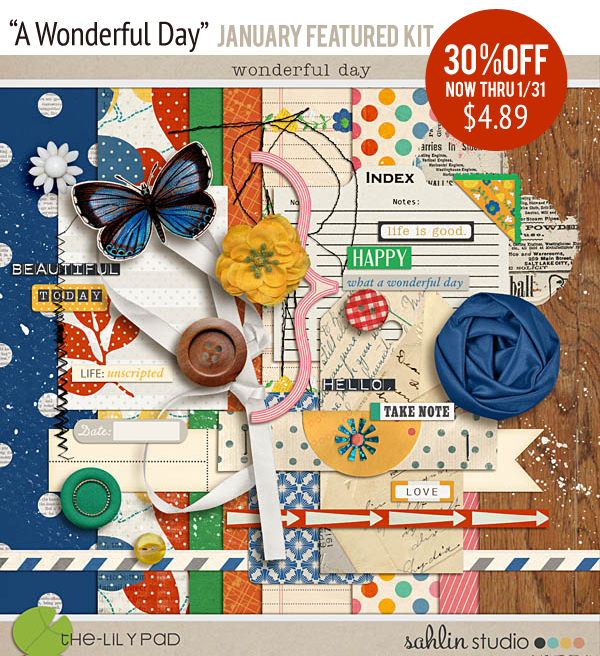 Playing with Anna's stuff is always fantastic, and combining with this great kit, your page looks amazing! Ooh yes G&T perfect for that hot weather your having sounds like your surviving it Helen! Fabulous Em! Love everything about this page! Love Anna Aspnes digi stuff and you have combined it with Sahlin Studios just fabulously! Love your touches of red peeping through. Thanks for the ice - with no air-conditioning it was much needed! Thankfully cool change has come through!